Will McDonald’s Decision to Pay SXSW Performers Undo Its #PRFail? McDonald's screwed up. Can they fix it? McDonald’s is a multi-billion dollar corporation, so if they’re going to ask someone to perform a service for free, they had better be prepared to demonstrate some finesse and do some fancy footwork. Unfortunately, the fast food giant employed neither of those tactics when approaching indie band Ex Cops with an offer to play at SXSW sans monetary compensation. The company’s initial response to the band’s complaint was combative rather than cooperative; McDonald’s addressed the controversy surrounding the issue with the hashtag #SlowNewsDay, which only fanned the flames. 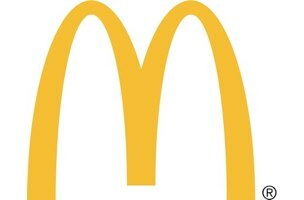 Now, McDonald’s has changed its tune, announcing that they have decided to pay their SXSW performers after all. But is this enough to undo the uproar? In short, it looks like an uphill climb for the corporation; we’ll be curious to see how it all plays out during the festival.